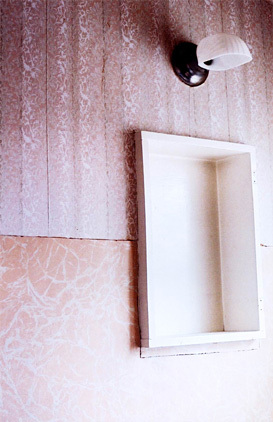 This series takes its name from a home at the Vancouver street number “3176.” The series’ images examine various interior details as the house changes from a home to a demolition site. The photographs are tiered in time, lighting and compositional arrangement and these elements emphasize temporal shifts in the course of the house’s depletion and eventual destruction. ** The series consists of over 100 images documented between September and October 2002. Size 16x24 inches.